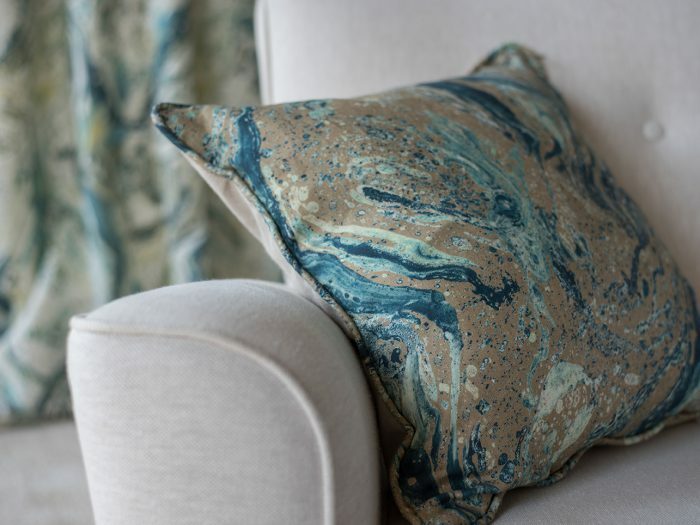 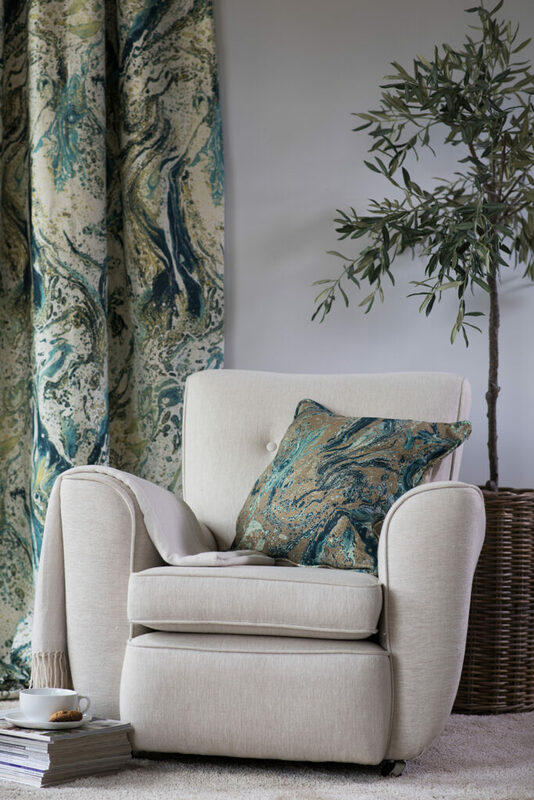 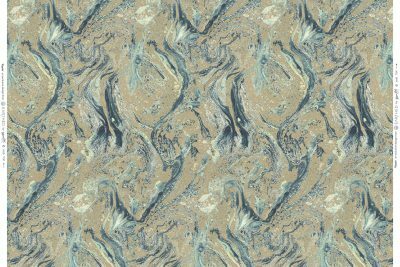 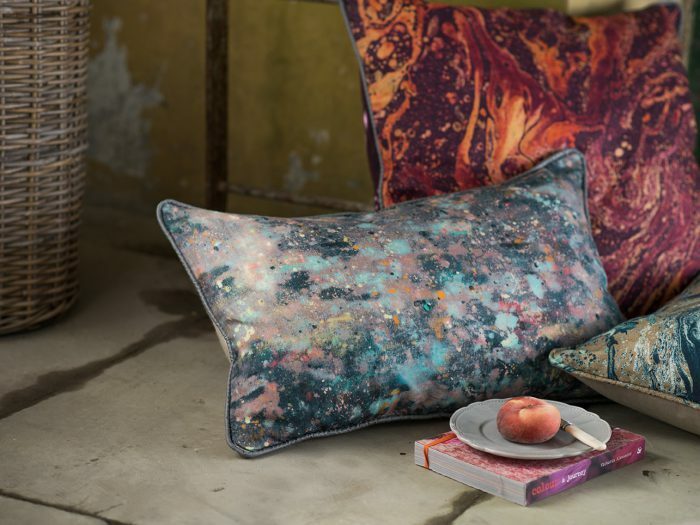 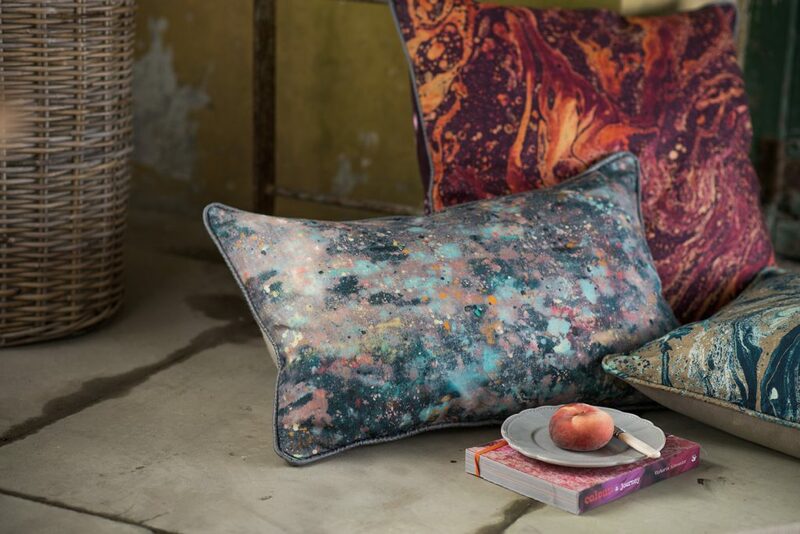 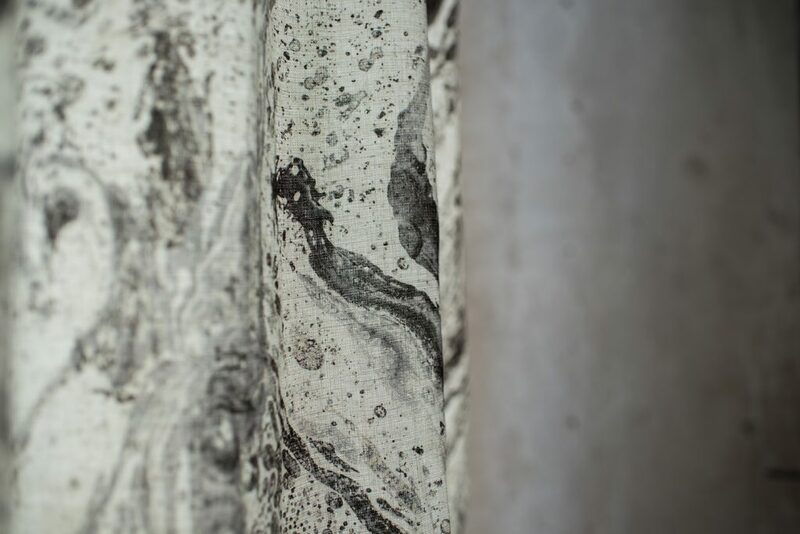 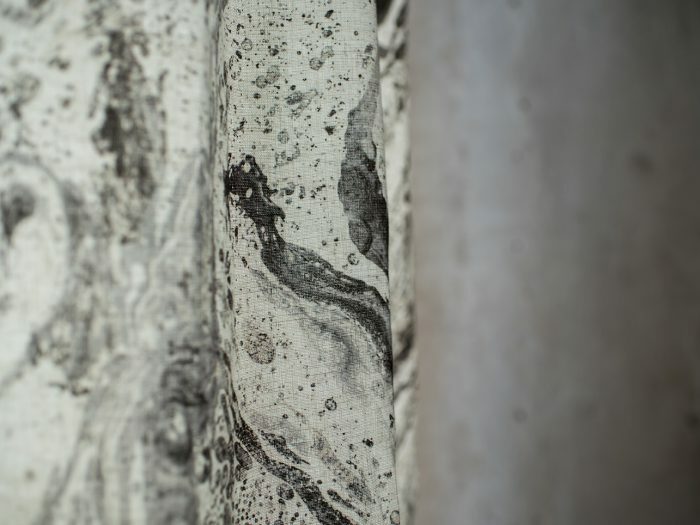 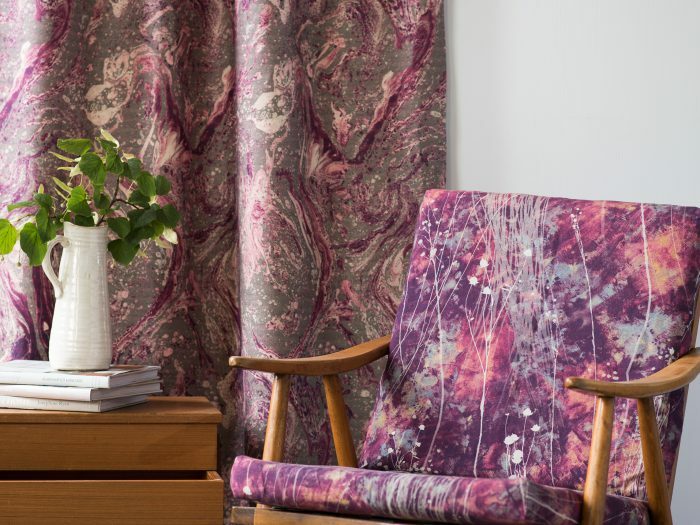 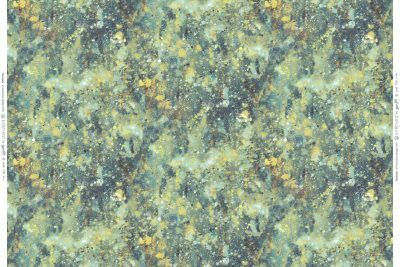 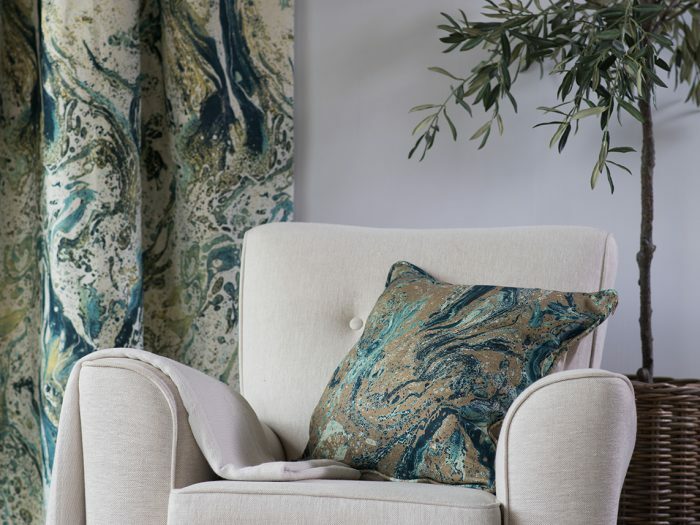 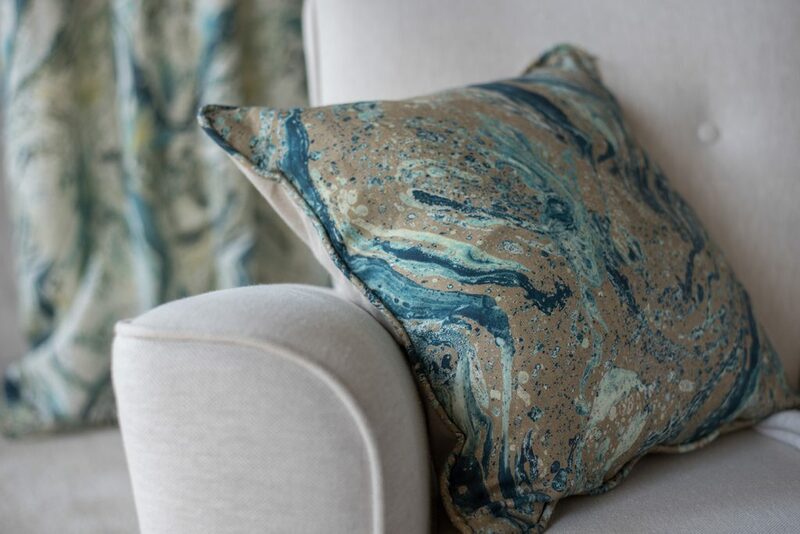 Our debut print collection is inspired by the magnificence of water and how instrumental it has been to us at William Clark over the last three centuries. 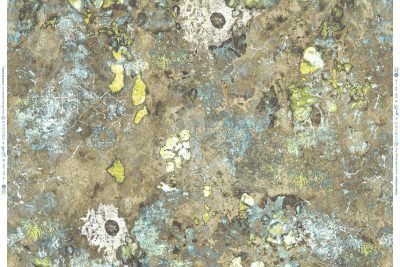 Particularly focussing on the impact and life this vital element has brought to Upperlands, this collection explores how early pioneers of technology at Clark’s harnessed water to drive an industry and the natural life our temperate climate gives rise to. 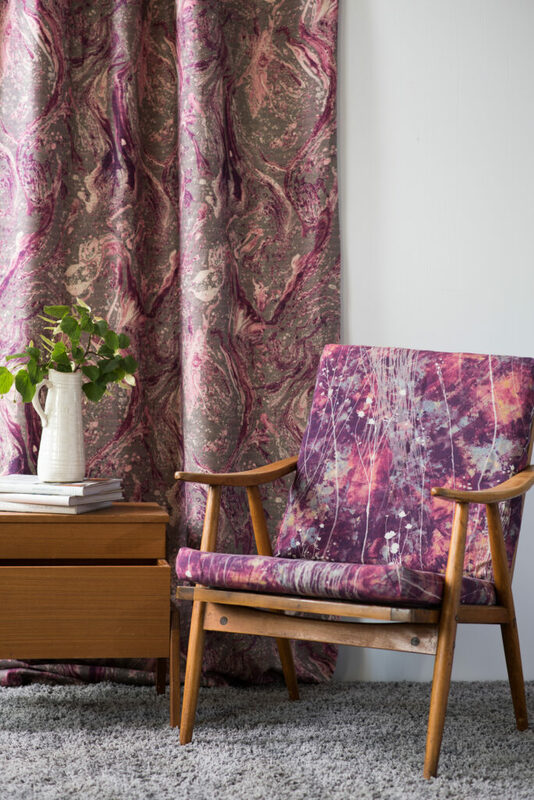 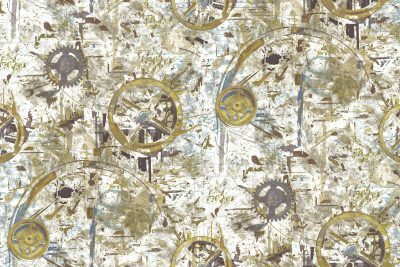 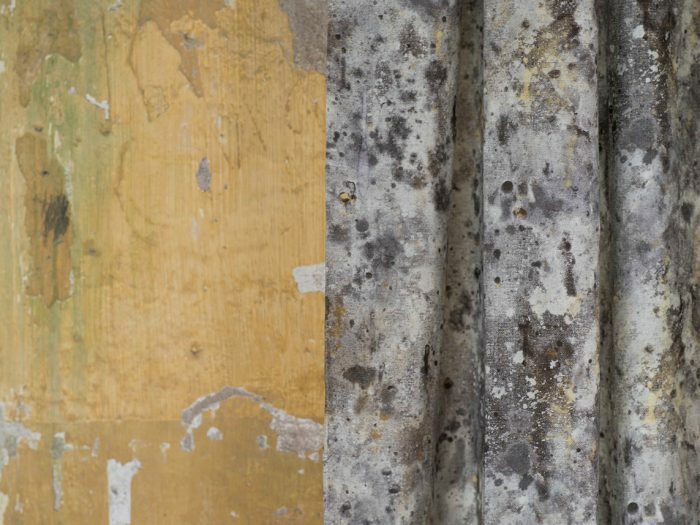 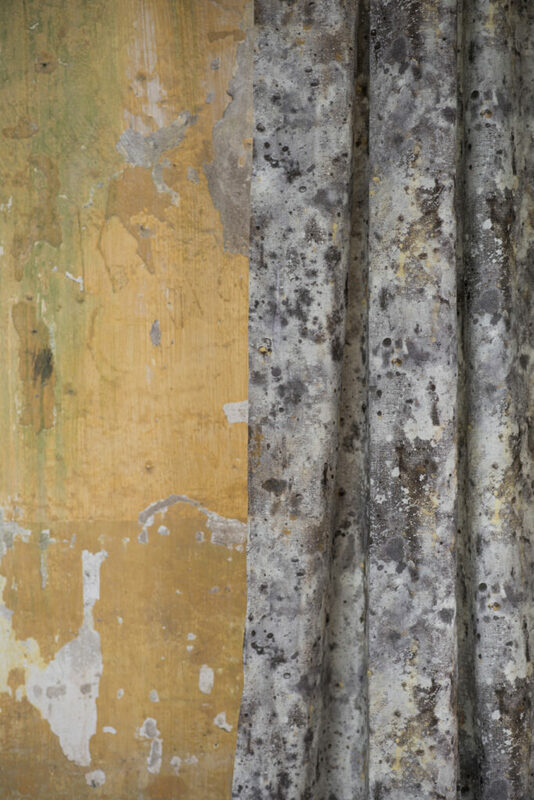 Photography, drawing, painting and mark making brought together on fabric in bold patterns. 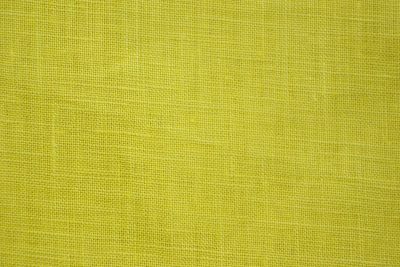 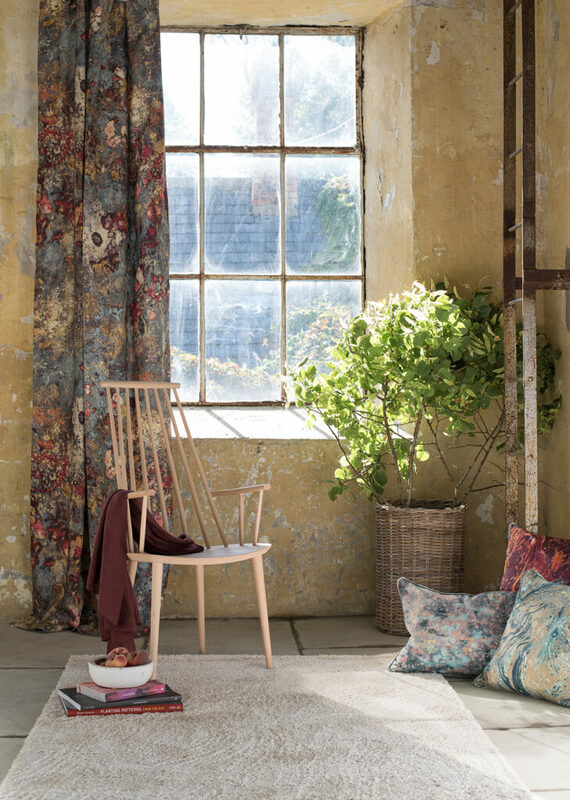 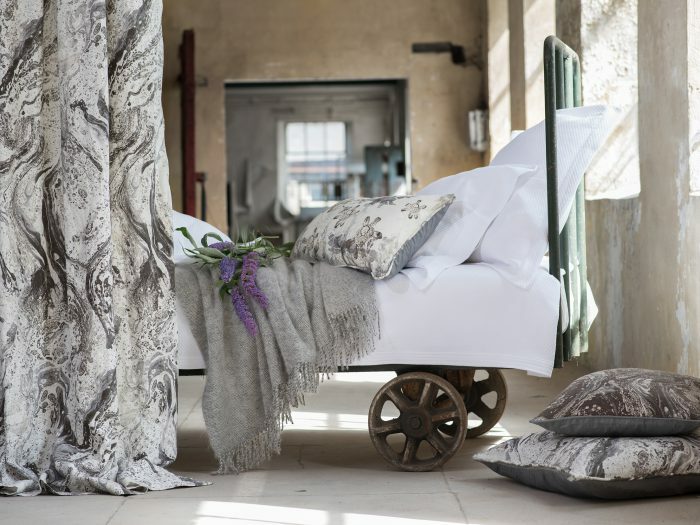 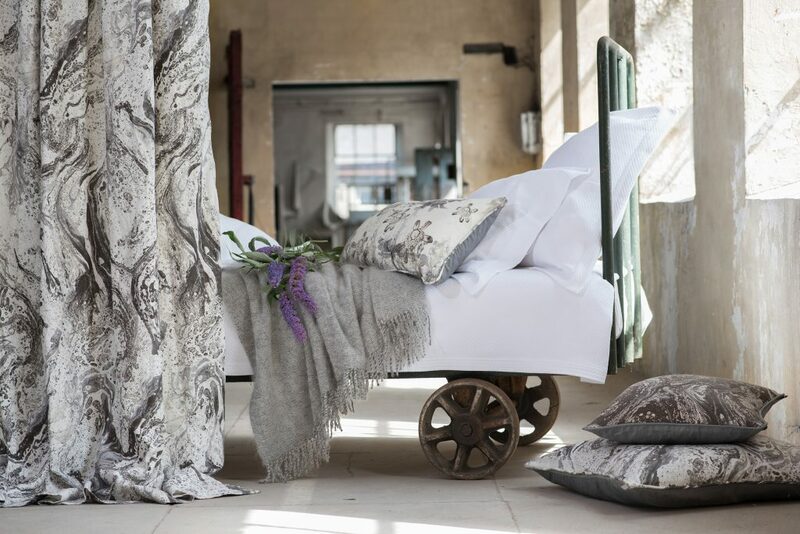 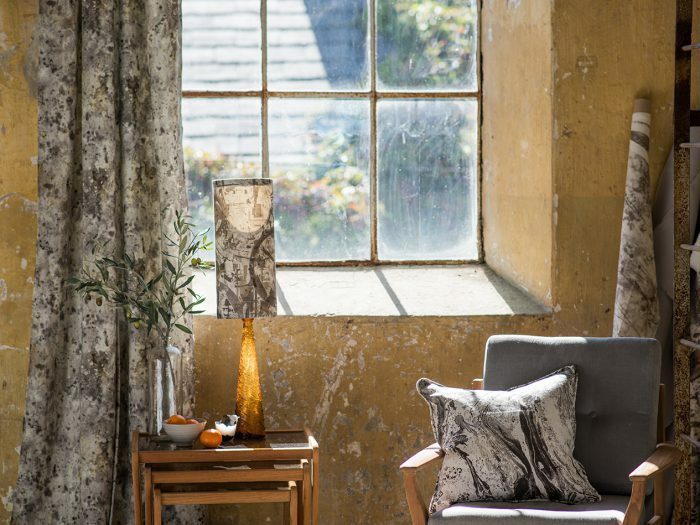 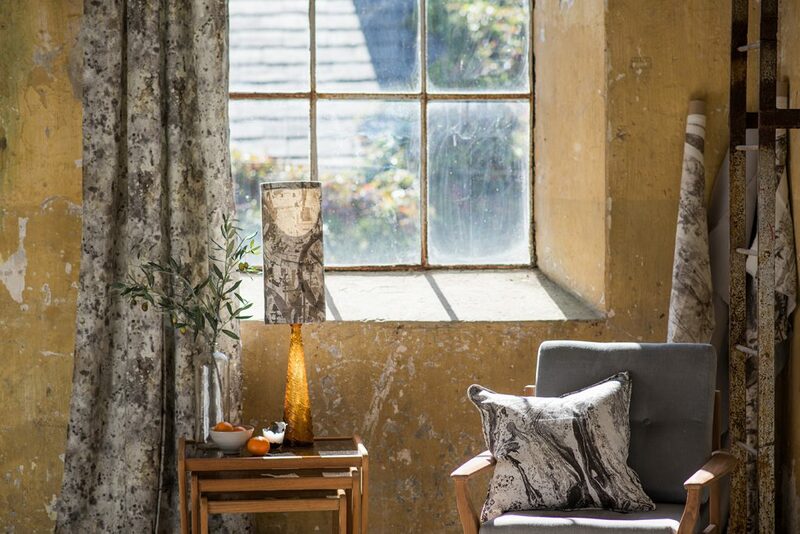 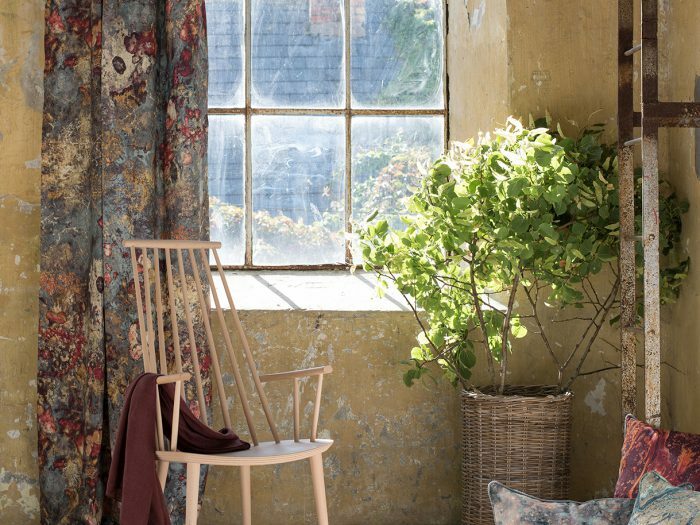 Our designs and colour palettes have been created to invoke positive emotions and create striking spaces with a contemporary twist on traditional Irish linen. 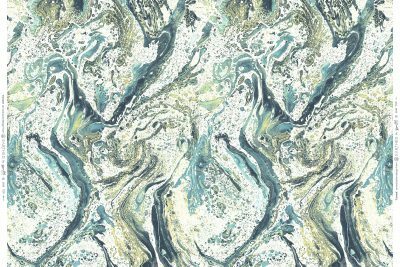 Airmid is a Goddess of healing in Irish folklore. 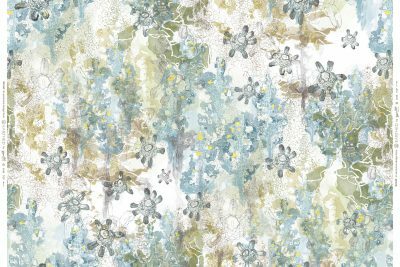 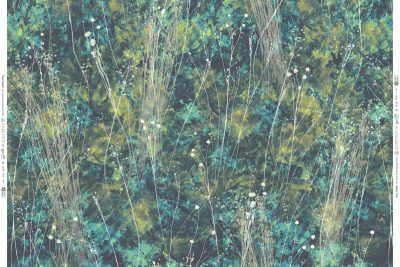 This contemporary floral print depicts the plant Self Heal which blooms in late Summer and has long been used medicinally for healing.